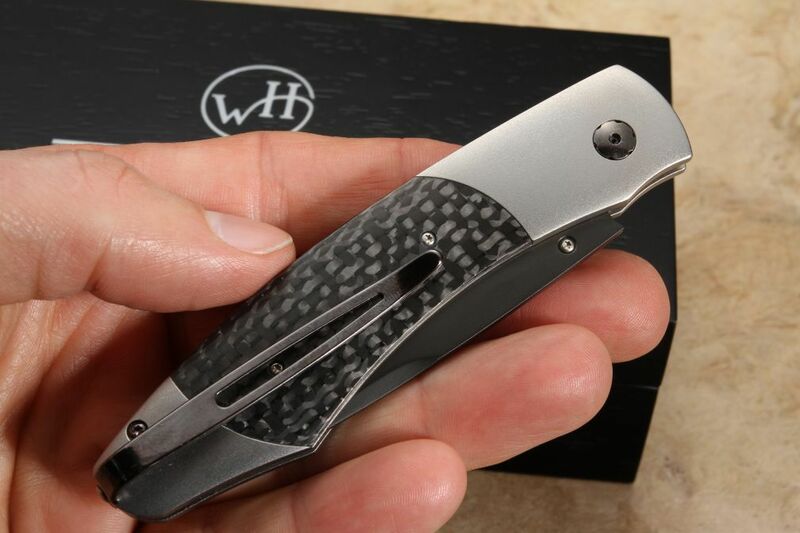 William Henry Studios describe their knives as 'functional artistry', which is a great description of knives known for both their elegance and their exacting quality. 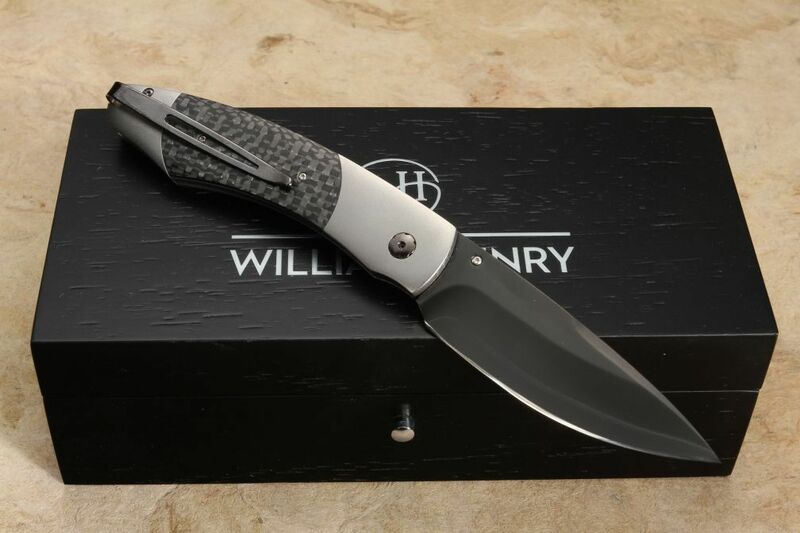 William Henry has produced a variety of American-made knife types using a stunning array of beautiful materials. The B12 Sable is both a functional and beautiful folding limited edition knife. 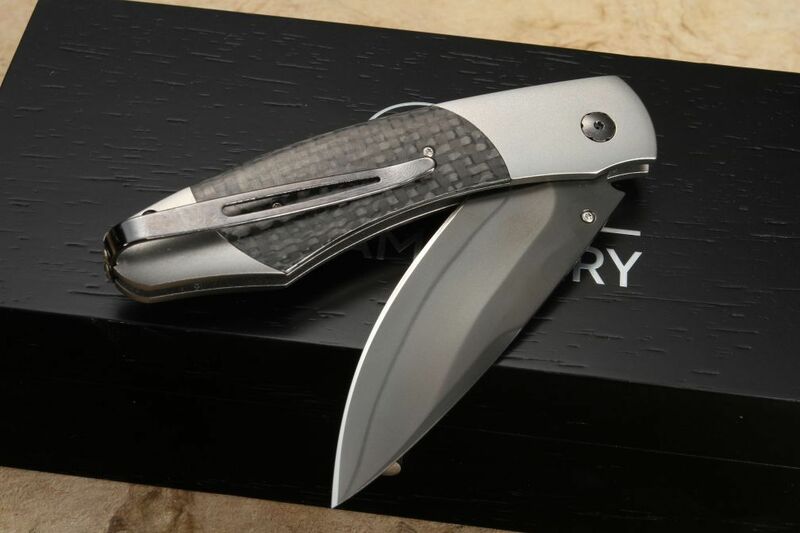 The B12 Sable's 3-inch blade is black-coated, extra strong ZDP-189 steel; the one-hand button lock and the thumb stud are set with smoky quartz. The blade isn't the only beautifully crafted part of this knife; the handle is impressive as well. 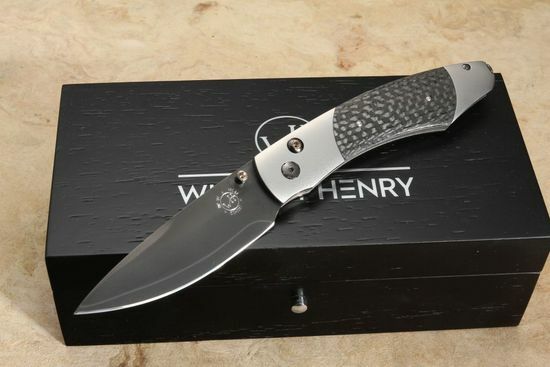 The 4.13-inch handle is made of aerospace grade titanium. Both the blade and the handle have a unique pattern. Between the bolsters of titanium, the upscale folding knife features a contoured handle of weave black carbon fiber. The thumb lug and button lock construction allow the knife to fluidly open/close with ease and one-handed. The knife has a one-hand button lock and thumb lug set with smokey quartz gemstones. In fact, the knife is easy to open or close, even one-handed. The black coated titanium pocket clip can be mounted for right or left pocket carry as well as removed completely. 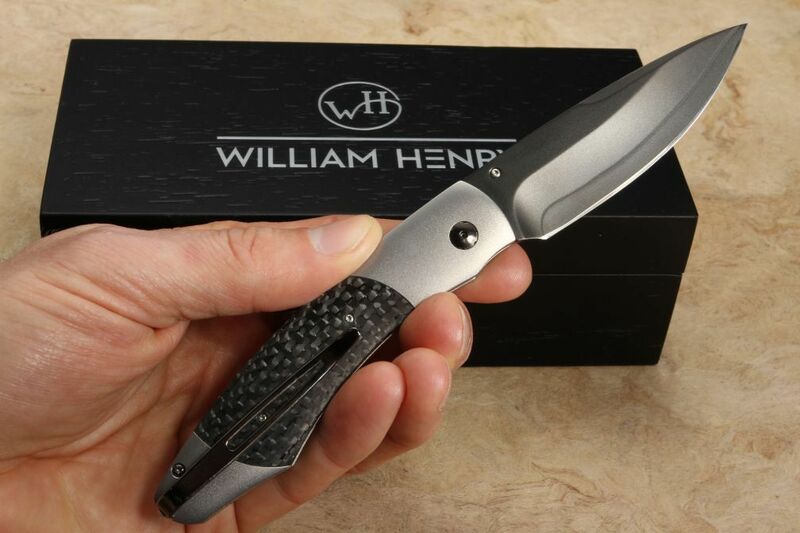 Each William Henry includes a lifetime warranty with the knife, so you can be confident making a purchase that it will stand up to the wear and tear that all knives go through. 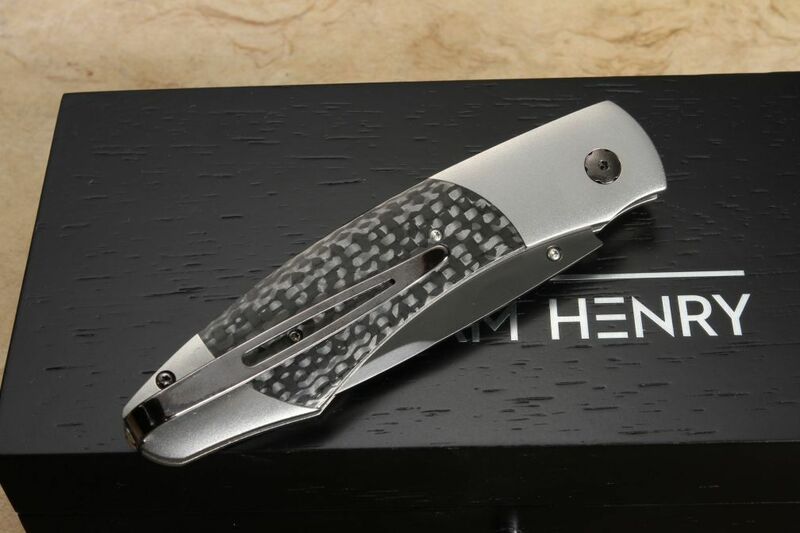 This limited edition of only 500 individually numbered knives has modern, refined artistry. The Sable is also, clearly functional. The knife comes in an attractive wood presentation box, certificate and lifetime warranty. You can buy with confidence, we offer a full satisfaction guarantee and extremely fast shipping.